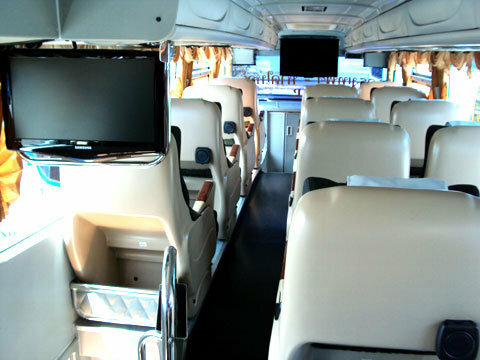 Piya Rung Rueng Tour is a well-organized bus operator based in Thailand that was established in 2008. It is located in Southern Bangkok Bus Terminal also known as Sai Tai Mai, which is the second busiest bus station in the bustling city of Bangkok situated on the way out in the Bang Khae area of Bangkok on Borommaratchachonnani Road. Having gained so much experience in the transportation industry for the past 9 years by providing bus services to the people, Piya Rung Rueng Tour always aim to improve themselves as a company. The operator has elevated their services to serve you better by allowing you to book the bus tickets online now through a few simple and safe steps using Easybook. Piya Rung Rueng Tour mostly provide double decker buses for their travellers. You can be assured of a pleasant environment during the long journeys as the coaches are equipped with cooling air-conditioning systems. 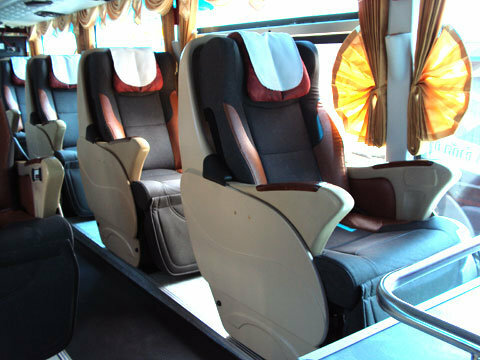 You can choose to either take a nap on the comfortable seats or enjoy a good book in the relaxing ambience during your journey with Piya Rung Rueng Tour. The two main departures available for Piya Rung Rueng Tour buses are located at Southern Bangkok Bus Terminal and Hat Yai Bus Terminal. You can find Hat Yai Bus Terminal in Songkhla at the Southern province of Thailand, which is near the border of Malaysia. As for Hat Yai Bus Terminal, it is 2.9 KM away from the Hat Yai train station and three main streets away from the centre of Hat Yai city. Piya Rung Rueng Tour is offering bus trips from Southern Bangkok Bus Terminal to Pattani Bus Terminal (Pattani), Thung Song Bus Terminal (Nakhon Si Thammarat), Phatthalung Bus Terminal (Phatthalung), Tak Bai Bus Terminal (Narathiwat), Su-ngai Kolok Bus Terminal (Narathiwat) and Narathiwat Bus Terminal (Narathiwat). 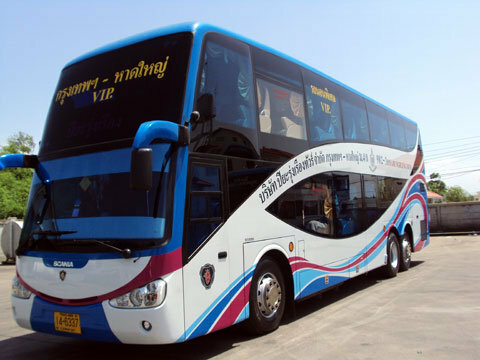 Besides the places mentioned above, bus route from Southern Bangkok Bus Terminal to Hat Yai Bus Terminal (Songkhla) and return route is also provided by the company. In addition to that, Piya Rung Rueng Tour also provide bus routes from Hat Yai Bus Terminal (Songkhla) to Chon Buri Bus Terminal (Chon Buri) and Rayong Bus Terminal 2 (Rayong). Their buses are also operating routes from Hat Yai Bus Terminal (Songkhla) to Nakhon Ratchasima Bus Terminal (Nakhon Ratchasima) and Pattaya Bus Terminal (Chon Buri) and also their return routes. 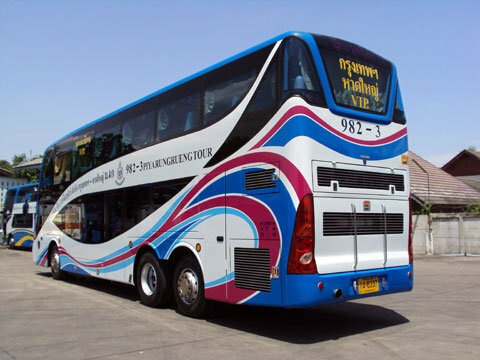 If you are looking for a bus operator to take you to your desired destination in Thailand, look no further and purchase a Piya Rung Rueng Tour bus ticket online through Easybook. 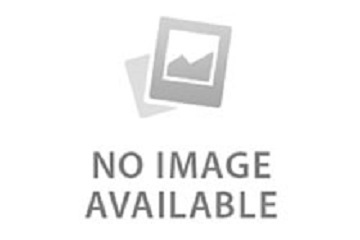 It is less time-consuming with the fast and convenient buying process in order for you to have a pleasant trip.